Olympic Forest Park features its intriguing man-made wetland scenery. Strolling along the way in vast expanse of reeds, cattails, cyperus globosus, calamus and canna indica, you will find this wetland which is embellished with a lovely bridge, connected to an underwater corridor facilitated by vitreous armrest stairs, for you to enjoy the amazing surrounding scene of beautiful fish. In an original forest in the south of this park, there is a Forest Art Center designed with chic architectures in romantic style, where you can overlook the low-lying lush and green original forest, inhale the fresh air, enjoy yourself in this green world, and also appreciate the beauty of art in galleries, exhibitions and salons presented at this Center. Grand Canal Forest Park (in Tongzhou District) locates at both sides of the Northern Canal of Tongzhou New Town in Beijing. From Lutong Bridge (at the 6th Ring Road) at the north to Wuyao Bridge at the south, the Canal is 8.6 km in length, with its 8191-m left bank and 3639-m right bank. The Park takes up 713 hectares including 2500-mu (166.75-hectare) water surface area and 8200-mu (546.94-hectare) green space distributed along both sides of the canal and highlighted by six scenic spots. The river bank is so popular with many visitors hiking or cycling here to enjoy leisurely city life. The as-built Grand Canal Forest Park is attracting more visitors to have a great time at weekends. The Nanhaizi Park was the imperial park in the Yuan, Ming and Qing Dynasties. 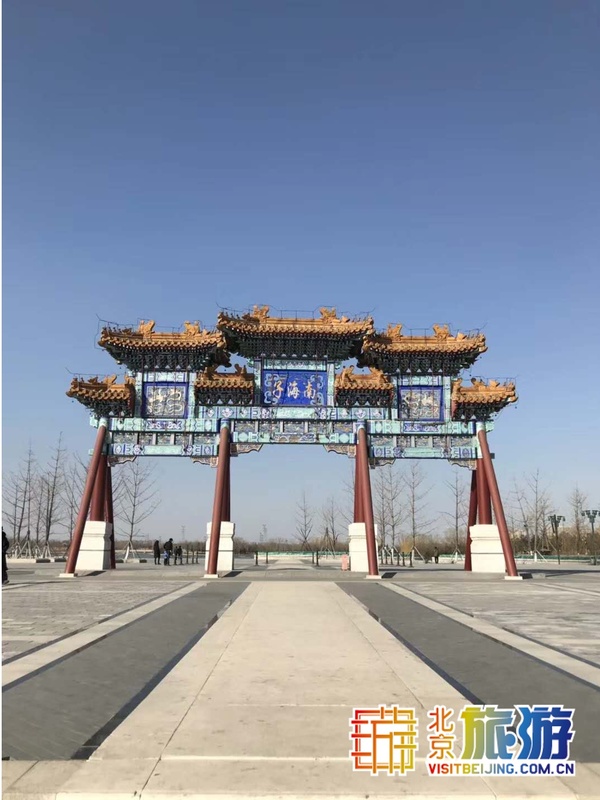 The park now is divided into several functional zones for wetland landscape sightseeing, imperial culture appreciating, elk protection and ecological recreation. The as-built Phase-I area is integrated with the existing Milu Park (Elk Park), forming a 3000-mu (about 200 ha) ecological landscape zone. Enclosures of the Milu Park are replaced with wire fences, and new roads are built to connect the two areas. Visitors can see elks from a distance or enter the free-of-charge Milu Park to get close observation at the elks. 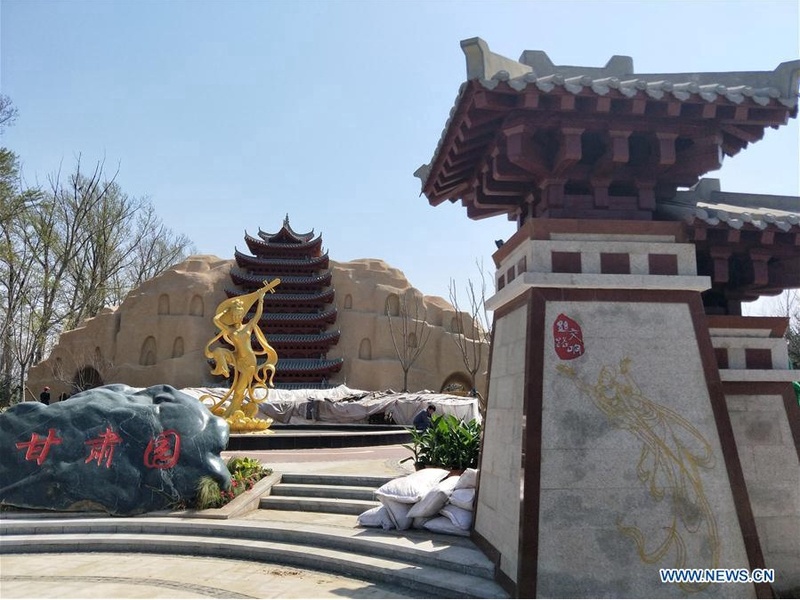 Phase II includes reconstruction of the three imperial parks, namely, the Xingong (the new yamen palace), Jiugong (the old yamen palace) and Nangong, which is aimed to preserve the historical relics and restore the historical context of Nancheng (Nanyuan). 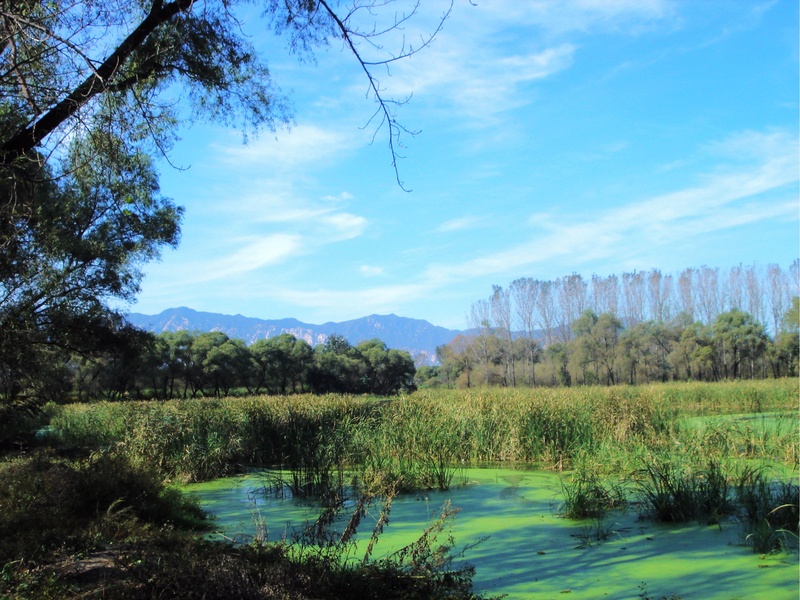 The Cuihu Wetland Park is known as the “Jiangnan Watertown” (a fertile land of fish and rice in southern China) of Beijing. This is the only park in Beijing approved by Ministry of Housing and Urban-Rural Development of PRC as a state-level urban wetland park. Rare wild waterfowls like great bustard, golden eagle, larus relictus and red-crowned crane can be found here every year, in addition to a splendid sight of numerous aquatic plants can be seen in the lake. At present, Phase I of the Park is under enclosure for forestation, and Phase II project is completed with 36.2 hectares open to visitors, offering many scenic spots like Wetland Culture Corridor, Butterfly Valley, Bird-watching Pavilion, Welcoming Frog Croaking in Tranquil Green, Enchanting Lakeside Broad View, Fish Viewing Area and Wetland Botanical Garden Area. 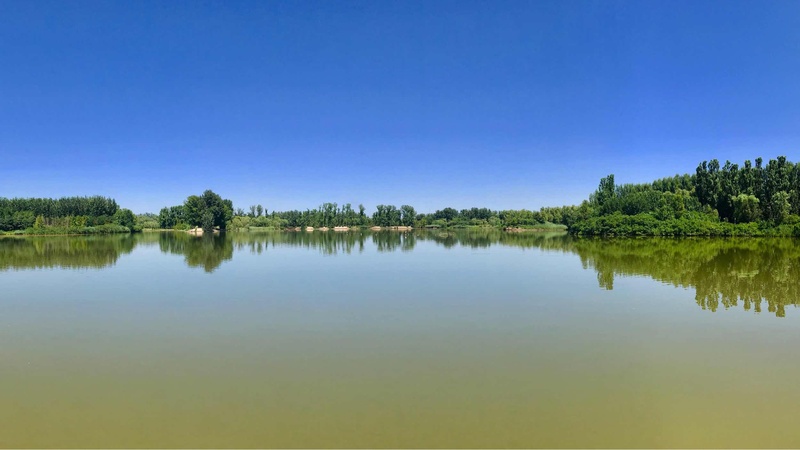 Daoxianghu Natural Wetland Park is the first park in Beijing financed by local farmers.The park features brilliant natural resources like its waterfront landscape, eco-friendly emerald lake wetland, fresh and lively idyllic scenery and pleasant environment. 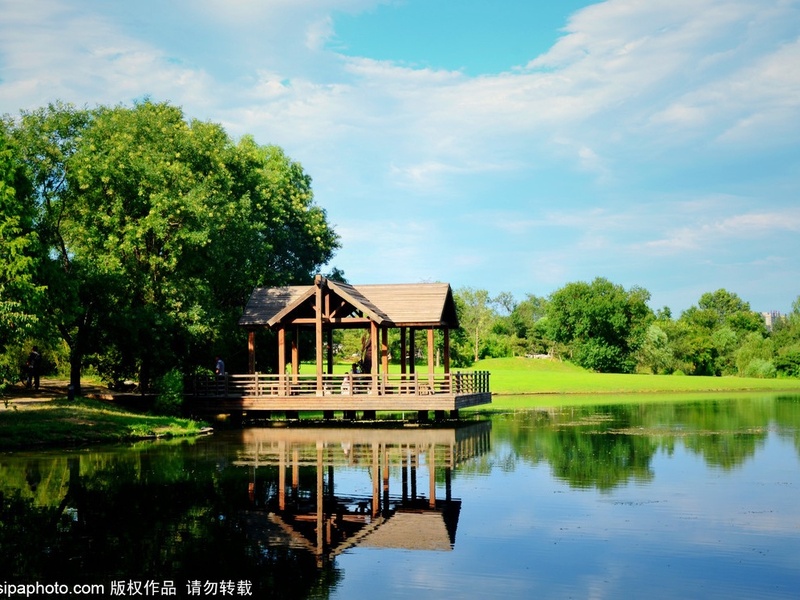 Established in 1984, the park has a 600-mu (40.02-hectare) natural lake and the surrounding vast field. Surrounded by hills on three sides, the park reveals impressive scenery and a variety of freshwater fish in vast water of Daoxianghu. It is an ideal place for fishing and boating. Tourists enjoy themselves at the Shijiazhuang Botanical Garden in Shijiazhuang, north China's Hebei Province. Closing ceremony of 9th Beijing International Film Festival was held in Beijing on April 20, 2019.